File 2-0312 - Residences at Oak Bay Junction for J.T. McDonald Esq. 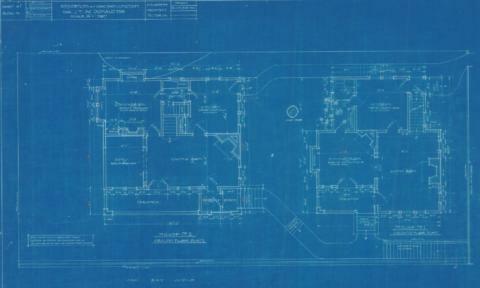 3 architectural drawings : blueprint ; 53 x 74 cm. Consists of architectural plans for building at 1551-1555 Oak Bay Avenue. Two two-storey houses each with basement.